We had a lovely holiday at Blarghour Farm. The Barn in which we stayed was lovely and clean, warm and cosy, lovely walks peaceful and relaxing. Our 2 week stay at the Barn was excellent and totally helped us to relax and really benefit from the holiday and down time. The weather was excellent which is a real bonus in Scotland. Regardless of the weather this setting was so peaceful and relaxing ideal for a quiet holiday in midst of beautiful scenery. Catriona and Martin were around if we needed anything but not intrusive in any way. It is close to exploring other areas of Argyll and easy access to Oban for ferries to the islands of Mull and Iona. Oban is a town with lots of good resturants and shops for gifts and supplies. They gave us advice on where to visit that was new for us and their recommendation was really good if you like seafood which I love. This our 5th year in a row spending time at the Barn and all intentions of going back next year. 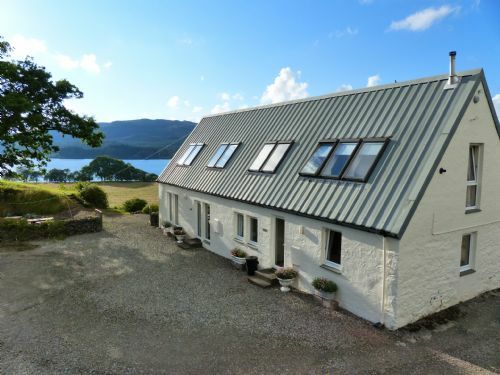 Ideal location for visiting local places of interest including the Crinan Canal,Kilmartin Glen & Inveraray. Views of Loch Awe from the farm & the single carriageway road (with passing places) were superb. Escape from the crowds! Just what we were looking for! After a year of working and selling our house we wanted 'an away from it all' break and blarghour barn cottage was perfect. We stayed for 7 nights and upon arrival the barn was lovely and warm. Coming to Scotland for new year was on my husbands bucket list ie to celebrate hogmony in bonny Scotland. Tick. 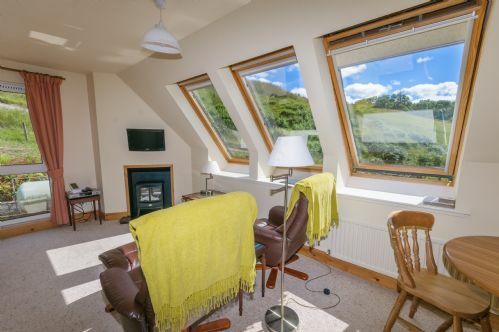 The barn cottage is ideally placed for walks and observing the varying types of wildlife that frequent the area. On our first day we had snow so we ventured through a forest area close to the barn. We saw numerous birds and 5 roe deer. The owners of the barn lived in the adjacent/attached building and were very helpful if we ever needed anything. The only problem we had that it rained for 6 of our 7 days but other than that we had a lovely time in a beautiful part of Scotland. We did use the barn as a base and travelled out a lot to Oban and fort William plus a couple of local interests. I would highly recommend the barn as a place to stay if you love peace and tranquility. 10 miles single track road! Takes half an hour from main road. 1 hour from Inveraray. The barn is facing away from the loch. (Which is a bit of a shame). Excellent place.... Well maintained. Nice hosts. Our holiday at the barn: local environment and scenery excellent, the accommodation was of a high standard and good base to explore the highlands and Scottish highlands. Loved my stay would definitely come back. Accommodation was lovely and in a beautiful location. Scenery and wildlife was amazing. Barn was a comfortable cottage with plenty space for 2 people and Catriona helped us settle in. We enjoyed a good walk and an ice cream by Crinan Canal and Inveraray was a nice place to wander after a visit to the Castle. The highlight was a boat trip with Turus Mara to Fingals Cave and then to the Treshnish Isles to see the puffins - amazing. We found the accommodation very good, plenty of walks nearby and everything you could need in the kitchen area. The owners were very helpful and friendly as were the two dogs. Beyond expectations, wonderful setting, comfortable accommodation, fully equipped. Wonderful relaxing environment. Helpful, thoughtful owners made us feel very welcome, can't recommend the place too highly! We discovered a modern but very lovely renovates cottage to spend one week. The landscape is just fantastic right on the shore of Loch Awe. The single track road along Loch Awe is a kind of adventure you have to go through, but you can calm down afterwards. For us it was the perfect place to be. Thanks to Catriona for her hospitality. We will shurely recommend Blarghour Farm and "The Barn". We enjoyed our stay at 'The Barn' the property is lovely and clean and warm, plenty of hot water, and a comfortable bed. We enjoyed seeing the sheep population increase while we were there, some lovely walks around and about. Catriona made us feel very welcome. We were able to visit Oban, Fort William, The Falls of Dochart, and not forgetting Kilmartin museum which we found very interesting. We found this self catering let on the internet 4 years ago and have been going each year since. It's a beautiful location regardless of the weather but wonderful when the sun shines. 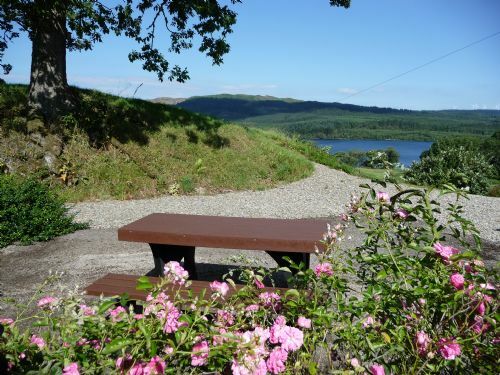 It's excellent location for walking, fishing and exploring local attractions in Argyll. The owners are friendly but not intrusive and ever helpful if needed. We have found the Barn an ideal place to go and relax and unwind from hectic working day lives. The Barn is very well maintained, has all the amenities required for self catering holiday for 2 and we are already planning 2018. Beautiful surroundings. Plenty of wildlife to see. The accommodation was modern, comfortable and warm. Ideal location to see the area.